Are you looking for a unique warehouse backdrop to host your wedding? 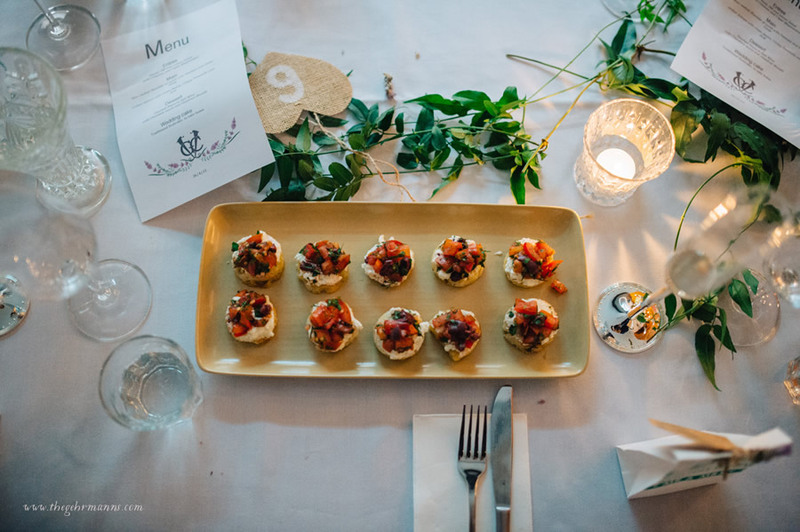 The Golden Pig Food and Wine school offers a spectacular space to create your perfect wedding, situated within a stunning warehouse located in the inner city suburb of Newstead. Its key design features include lofty ceilings, original concrete floors, large scale windows offering natural light throughout the day and with soft lighting in the evenings the space reflects a warm ambience. An abundance of lush tropical greenery is potted, suspended and climbing, creating a marvellous stage to add your individual style. Venue capacity- 80 seated and maximum of 200 for cocktail style event. Will and I wanted to send you an email to say the biggest thank you to you and Naomi and the rest of your team for everything on Saturday night. We were completely blown away with how amazing the night was, far beyond anything we expected. Your venue catered for our little party better than anywhere else we have seen and the food was exemplary! I think 90% of our guests commented to us on how delicious the food was. Also your staff were so lovely, they followed me around all night making sure I had a drink and food, also I got numerous comments about how good your bar tender was! All of this meant so much to us. “I don’t have the words to describe this amazing venue with the most incredible chefs and atmosphere! Our daughter had her wedding reception here two weeks ago and we could not have chosen a better venue. Cocktail style pop up food stations – food was the best we’ve had and most of the guests said the same …service was exceptional and the star of the night was the SUCKLING PIG carved up by Katrina served with Asian salad rice and this ‘to die for’ sauce. Hen’s and Buck’s Parties – eat, drink, cook and be merry! Are you seeking a fun and relaxed space to celebrate a Hen’s or Buck’s party? The Golden Pig can tailor an event to suit your style and tastes whether you are looking for a sit down lunch, stand up evening drinks party or would like to invite your guests to a fun cooking class or food, wine, drinks workshop or masterclass.